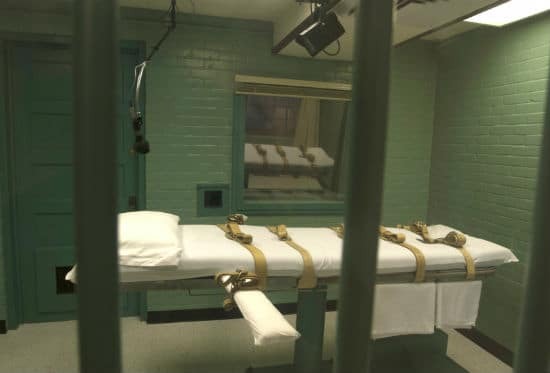 It’s extremely rare for the Texas Board of Pardons and Paroles to recommend a lesser sentence for a death row inmate facing execution but it happened this month. Shortly afterwards, state Governor Greg Abbott accepted the state parole board’s unusual and unanimous recommendation to grant clemency for death row inmate Thomas Whitaker. The last time the board recommended clemency for an inmate on death row was 2009, reported the Texas Tribune. A Texas governor had not approved clemency since 2007. Abbott’s order came down less than an hour before Whitaker was due to be executed for the 2003 murders of his mother and brother in Fort Bend County. Abbott is a strong supporter of the death penalty and Texas routinely executes more prisoners than any other state. He granted clemency for Whitaker for a number of reasons: The man who pulled the trigger in the killings got a lesser sentence. Whitaker’s father, who was also a victim of the crime, strongly opposed the execution. Whitaker also voluntarily waived all claims to parole in exchange and will spend the rest of his life behind bars. Whitaker planned the killings of his family with his roommate, Chris Brashear. It was Brashear who shot Whitaker’s mother and brother dead as they returned home one evening. Whitaker’s father, Kent, was shot but he survived. The roommates planned the murders to get inheritance money. Whitaker was sentenced to death in the murders in 2007. He father appealed for a life sentence at the time. The prosecutor in the case rejected a guilty plea offer. He said Whitaker wasn’t remorseful and was manipulative. Brashear was given a life sentence and is eligible for parole in 2035. It was the first time Abbott was asked to make the final decision for a death row inmate facing execution. Abbott portrayed a “tough-on-crime” attitude and fought to move death sentences forward in his previous role as attorney general. Abbott’s predecessor in the governor’s office, Rick Perry, turned down two clemency recommendations for inmates facing execution and accepted just one in 14 years heading up the state. In recent years, use of the death penalty in Texas and elsewhere has declined. However, Texas has executed more people than any other state. If you are facing a serious charge like murder, it’s vital to hire an experienced criminal defense lawyers. Contact us on our website.